The mission of the YWCA is Eliminating racism, empowering women and promoting peace, justice, freedom and dignity for all. We believe that women's rights are human rights, and we are determined to build a world that works for everybody, regardless of race, ethnicity, religion, sexual orientation or gender identity, class, ability or age. We are working for you. Stand with us. 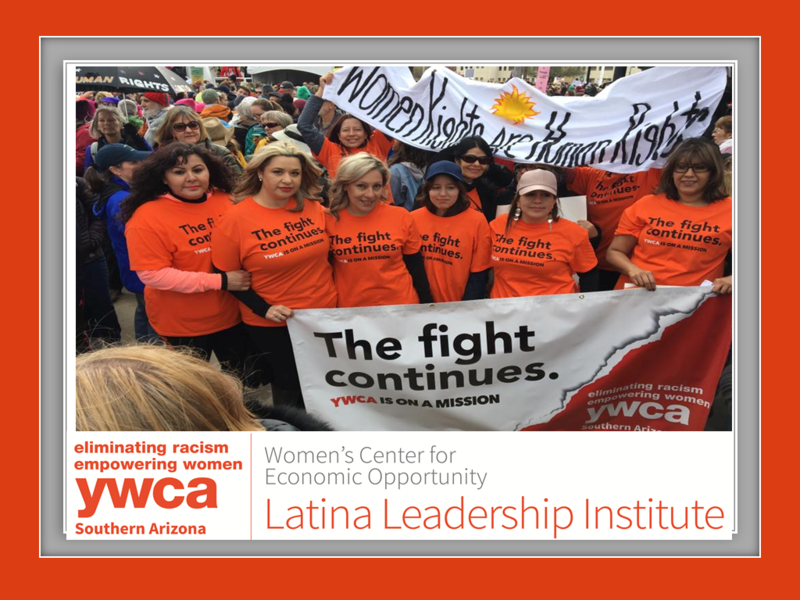 The YWCA Southern Arizona has the following focuses: 1) Women's Center for Economic Opportunity (WCEO) - leveling the playing field for women in business and at work, through leadership training and workforce readiness programs. The WCEO has a strong focus on personal, professional and leadership development programs for Spanish Speaking Immigrant Women. 2) Microbusiness Advancement Center (MAC) - building a local economy that works for everyone, through support for entrepreneurs and strategic investment in economic development; and, 3) Stand Together Arizona Training & Advocacy Center (STAT) - working together to make Arizona a place where everyone can thrive, through our support of grassroots activists, voter education, civic leadership training and public policy advocacy. Our New Millennium Leadership Center offers training, coaching and consulting to help organizations & businesses become more diverse, inclusive and effective. Have experience with YWCA Southern Arizona ?